Toscana South Condo for Sale! 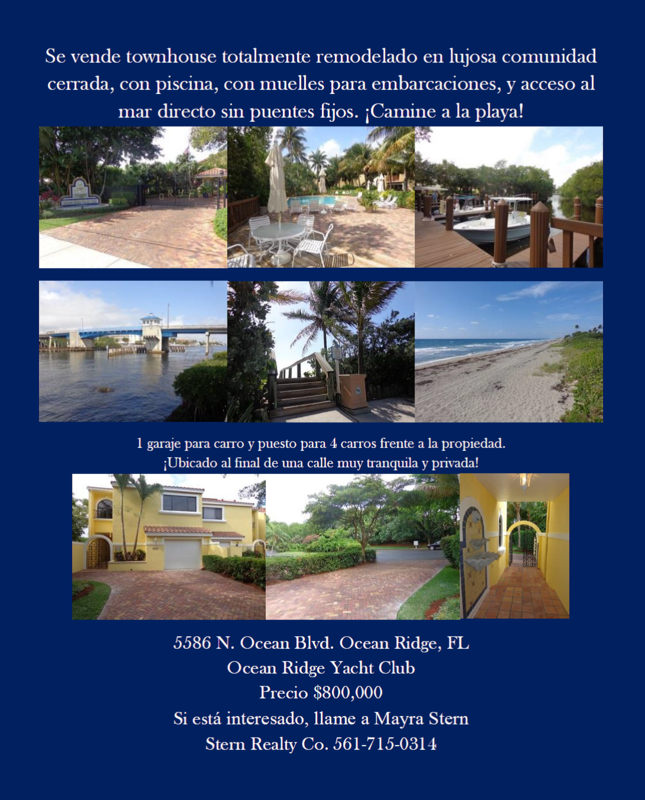 Magnificent Ocean & Intracoastal Views! 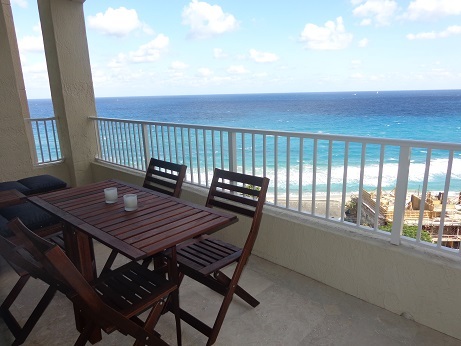 Spectacular Penthouse for rent with ocean & Intracoastal views! 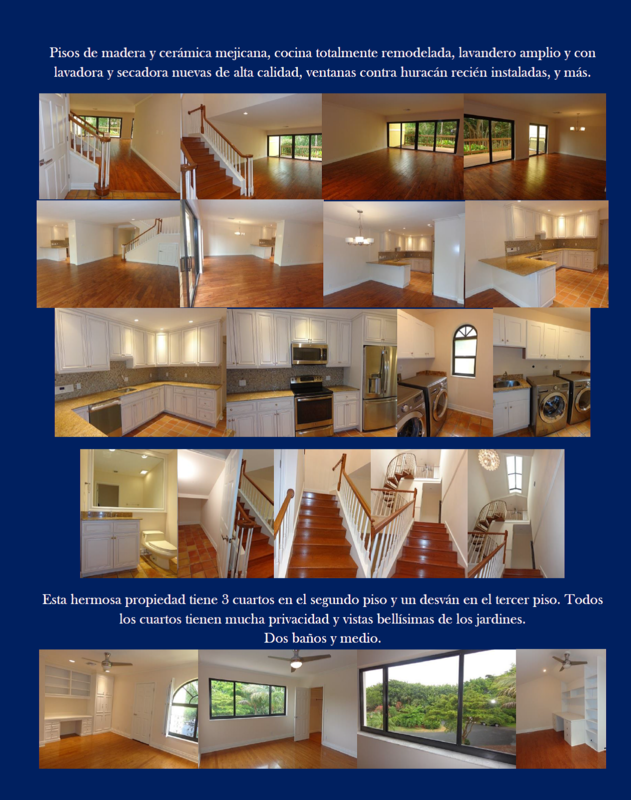 Beautiful 2 bedroom, 2 bath, fully furnished condo available for rent short term from May to November 30, 2016. 3 months minimum. Listed at $2,500 per month. No pets. The Highland Beach Club is a luxury community located in Highland Beach, Florida, on the west side of A1A between the Intracoastal & the Atlantic Ocean. Highland Beach Club amenities include: pool, hot tub & BBQ area overlooking the Intracoastal, beach access, dock on the Intracoastal, 24-hour manned gate, tennis courts, clubhouse with social room, billiard’s room, business center, gym, sauna, and steam room. Walk to the beach! If you are interested in Highland Beach Club condos & townhomes, please contact Ben & Mayra Stern with Stern Realty Co. at 561-715-0314. ¡Townhouse en comunidad cerrada con muelles para embarcaciones en el Sur de la Florida! ¡Camine a la playa! Boca Raton is Known for Being Home to the Most Exclusive Country Club Communities! Boca Raton is internationally known for having many exclusive country club communities such as the Boca Raton Resort & Club , Boca West Country Club , Broken Sound Country Club , Royal Palm Yacht & Country Club , St. Andrews Country Club and Woodfield Country Club . The Boca Raton Resort & Club, a Waldorf Astoria Resort, has five star spa services and world class dining, golf, boating, private beach access, surfing, tennis, and more! For information about the club, please visit their page here: Boca Raton Resort & Beach Club Official Website . There are home developments within the grounds of the Boca Resort & Club such as Mizner Village (Mizner Court, Mizner Grand, and Mizner Tower). Mizner Court amenities include: boat docks, clubhouse, elevator, exercise room, extra storage, game room, library, lobby, manager on site, picnic area, pool, sauna, bike storage, sidewalks, spa-hot tub, and tennis courts. Close to Mizner Park shops, restaurant and Boca’s beautiful beaches. 1 pet is allowed. 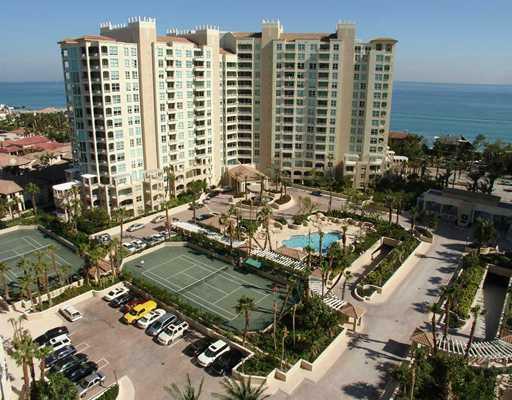 The price of condos for sale at Mizner Court range from $425,000 – $800,000. Mizner Grand is a waterfront, full service community. Mizner Grand features & amenities include: 24 hour gated community, valet parking, concierge, elevator, lobby, clubhouse, pool with cabanas, boating, community room, game room, billiard’s room, business center, manager on site, extra storage, fitness center, hot tub, and sauna. 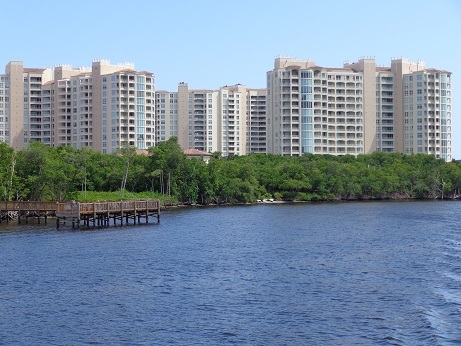 Spectacular views of the ocean, Intracoastal, Lake Boca Raton, golf grounds, and the city. Up to 2 pets are allowed. The price range of condos for sale in Mizner Grand is $2,000,000 – $6,500,000. The price range of condos for rent in Mizner Grand is $8,500 – $24,000 per month. Annual & seasonal rentals are available! Boca West Country Club is the nation’s #1 private residential country club with resort-style living and more than 300,000 sq. ft. of club facilities including 30 tennis courts, 6 distinguished restaurants, aquatic and fitness center, world class spa, 4 championship golf courses designed by Pete Dye, Arnold Palmer and Jim Fazio, and more! Boca West is a gated community with spectacular well kept grounds. Prices of properties in Boca West Country Club range from $20,000 to $3,000,000. The Boca West Country Club Membership Equity amount is $70,000. For information about Boca West Country Club membership fees, please visit this web site: www.bocawestcc.org . Broken Sound Country Club is an award-winning year-round, private golf and country club community located in the heart of Boca Raton, FL. Broken Sound amenities & features include: 100,000 sq. ft. newly renovated clubhouse with outdoor and indoor dining, world class spa facilities, locker rooms, steam rooms, men’s and women’s hair salon, luxurious pool, hot tub and deck area with children’s water park. The newly remodeled Fitness Center has aerobic, spinning, wellness & Pilates rooms. Broken Sound also has 23 Har Tru tennis courts, 2 championship golf courses, and a full-service Pro Shop. Broken Sound is a gated community with spectacular well kept grounds and beautiful lake & golf views! The Broken Sound Community offers 27 Lushly Landscaped Villages with over 1600 custom homes. Broken Sound has single family homes, townhomes, villas, and condos. Prices of properties in Broken Sound Country Club range from $100,000 to $4,000,000. The Broken Sound Country Club mandatory membership Equity amount is $60,000. For information about Broken Sound CC membership fees, please visit this web site: www.brokensoundclub.org . 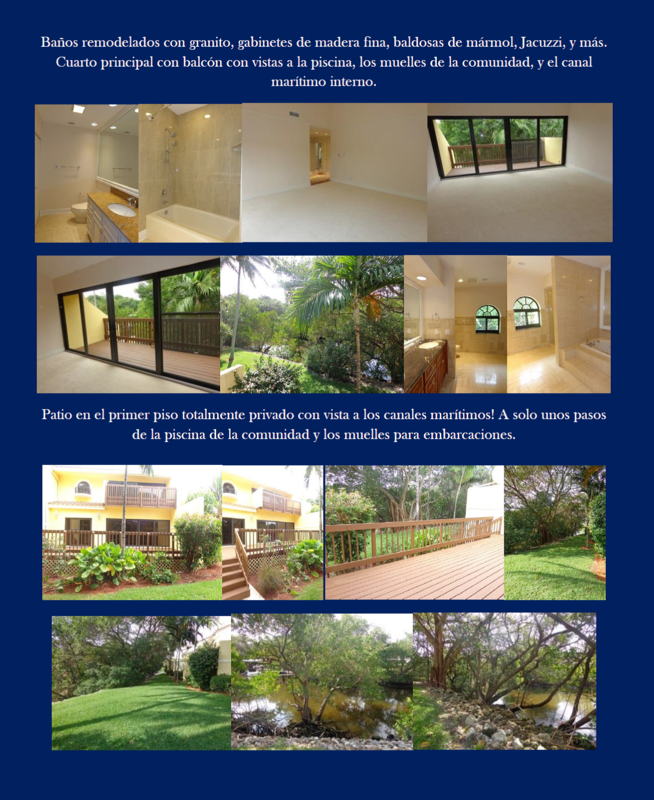 Royal Palm Yacht & Country Club is a very exclusive country club community with 450 acres and 700 estates. It was established in 1959. Many properties in Royal Palm Yacht and Country Club are located on deep-water and golf course lots. Royal Palm Yacht and Country Club is internationally known as one of the most exclusive yachting communities in the country. Royal Palm Yacht and Country Club features include a Jack Nicklaus signature golf course, full-service marina, fine dining, state of the art fitness center, swimming pool, tennis and croquet courts. 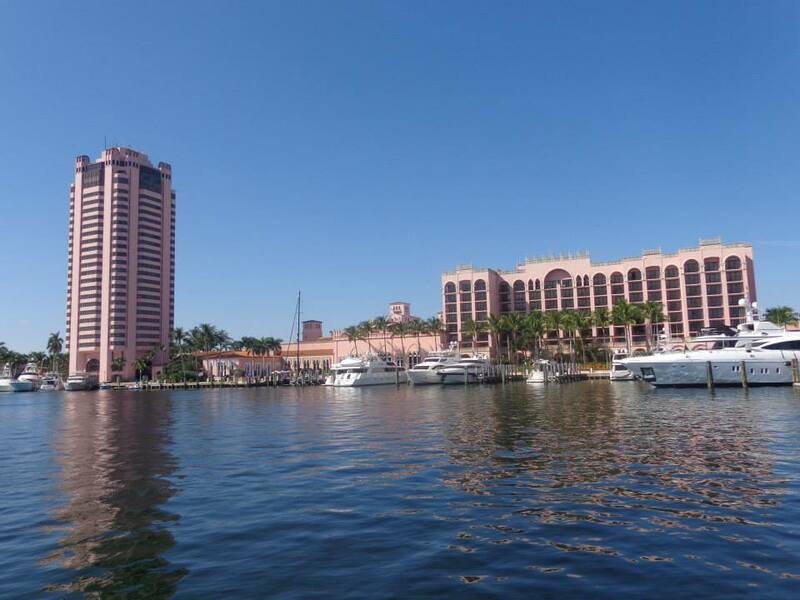 Royal Palm Yacht and Country Club’s location is situated adjacent to the Boca Raton Resort and Club as well as the Boca Raton Inlet which provides direct ocean access. Some of the world’s most wealthy and prominent families live in Royal Palm Yacht and Country Club. This community has huge estates. Prices of homes in Royal Palm Yacht and Country Club range from $800,000 to about $22,000,000. St. Andrews Country Club is an exclusive golf community located in Boca Raton. The St. Andrews community went through many renovations recently. St. Andrews CC features and amenities include: gated entry, two professionally maintained Championship Golf Courses, spectacular grounds, fifteen clay tennis courts, a state-of-the-art fitness facility, a luxurious spa and salon, men’s and ladies’ locker rooms, men’s card room, recreation & aquatic center, kid’s game room, playground, four restaurants with fine and casual dining, a social calendar with lots of monthly events, and more! Property prices in St. Andrews Country Club range from $400,000 – $10,000,000. To purchase homes in St. Andrews Country Club you must become a member of the club. The Full Non-Refundable Membership Fee is $95,000. For more information about membership fees, please visit the St. Andrews Country Club web site at: www.standrewscc.com . Woodfield Country Club is an exclusive gated golf community located in the heart of Boca Raton, FL. Woodfield CC amenities include an 18-hole championship golf course, a nationally recognized tennis program, lagoon-style swimming pool, fitness center, spa/salon, and much more. The 97,000 sq. ft. Clubhouse offers luxury restaurants, men’s and ladies’ card rooms, banquet and lounge features, golf center, ballroom and meeting rooms. The Woodfield Communities are comprised of Woodfield Country Club, Woodfield Hunt Club and the Carriage Homes at Woodfield. Membership at Woodfield Country Club is mandatory. The membership equity fee is $38,000. Special non-equity memberships are offered to homeowners in the Woodfield Hunt Club and Woodfield Carriage Homes. For more information about Woodfield CC membership fees, please go to: www.woodfield.org . Prices of properties in Woodfield CC range from $200,000 to $7,000,000. 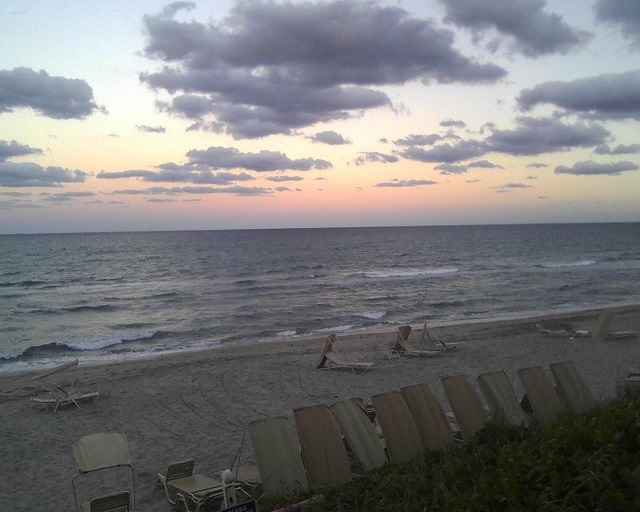 There are many more country club communities in Boca Raton and the surrounding cities. 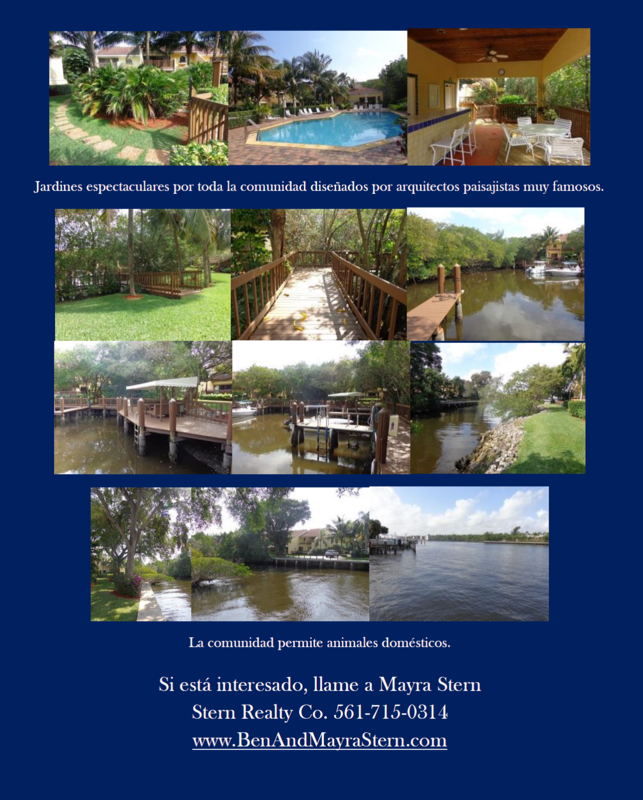 Call Ben & Mayra Stern, with Stern Realty Co. at 561-715-0314 to see any golf & country club communities in the area.